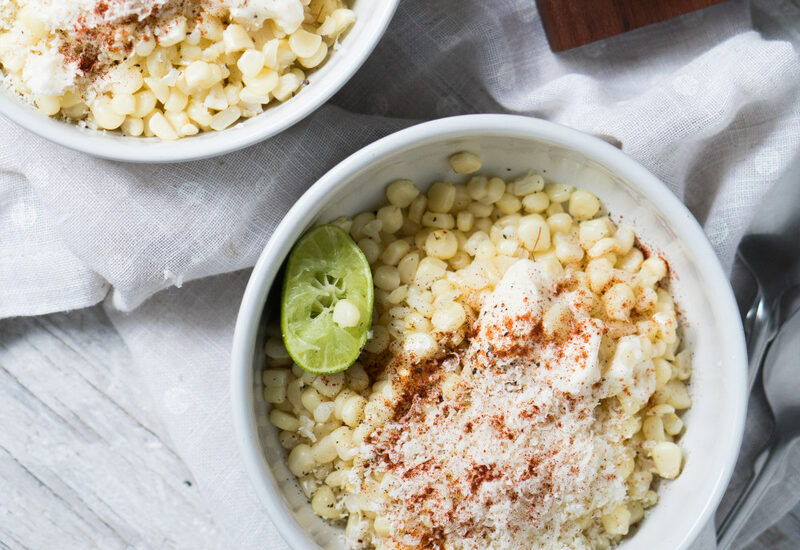 Mexican corn esquites are among the most-popular street foods in Mexico! The word "esquites" comes from the Nahuatl word ízquitl, which means "toasted corn." This recipe shows how deliciously tasty and simple a bowl of corn with a variety of toppings can be. Start with cooked fresh corn and combine with mayonnaise, Cotija cheese, and butter. Top each serving with a squeeze of fresh lime and a sprinkle of chili powder, salt and pepper. It is a great side dish for Taco Tuesday or a snack any day of the week! Corn not in season? No problem! You can make this recipe any time of year with 6 cups frozen corn kernels. Try cayenne pepper in place of chili powder if you like your corn extra spicy. Per Serving: 323 calories; 16g fat; 46.2g carbohydrates; 8g protein; 18mg cholesterol; 1024mg sodium. YESSSSS! So good! I like to eat this along side my grilled shrimp. Only thing I do differently is char the corn a bit after cooking it for that smoky flavor that I adore so much! This Mexican corn bowl was mouthwatering! A lot less messy than eating it off the cobb, that's for sure. I also really liked the Cotija, because I usually would use parmesan. This was really good, and the perfect addition to taco night! Love this bowl version of Mexican corn! So delicious! Is there really any other way to eat corn? It has all the basic ingredients you need: lime, chili, mayo, and Cotija cheese. Perfection!